Discovering your profile is the starting point for all the trainings. This will allow you to discover the unconscious motivations that determine much of your behaviour. Understanding your Enneagram personality type can literally change your life – not only in your work environment but in the way you cope with your relationships and life circumstances. The One profile takes the view that there’s a lot to be put right and there?s always room for improvement. Clear guidelines are important to them and they like to approach their work with a step by step precision. They want clear concise feedback and not time wasting diversions. Work should be well done, fully comprehensive and just the right way. Internally they experience a severe inner critic who watches everything they do and tells them that they can do better and the standards keep rising. They are quite convinced there is one right way and feel morally superior to others. They procrastinate for fear of making a mistake. They take responsibility seriously and find it difficult to have fun and pleasure when there is still a lot to be done. Excellent at refining systems, they like a full schedule and losing themselves in the momentum of the project and going home satisfied with a job well done at the end of the day. However, they can be quite unhappy in an environment where there is rapid change and they don’t have the time or opportunity to refine and master the new situation. They can support others in reaching their potential and like to be the power behind the throne. They find their identity and satisfaction mainly through the relationships built with people they have been able to please. They like to feel indispensable to others and can alter to meet their needs. They work very hard with those who need their help. It can be difficult for them to discriminate between altruistic support and giving to receive. They need positive feedback and find it hard to sustain their energy if it is absent. They take pride in their ability to draw people to them. They are very supportive of others and have a lot of energy. They want to work in environments that are people friendly and want to be indispensable. They like paving the way for others who are on the way up even if this means chatting up the boss’s boss. They can be very diplomatic and sensitive to others. They minimise reports and formalities in favour of a more people centred approach. They will work very hard at anything if they know they will be recognised and rewarded for their effort. They can make anything work efficiently and it will look good. They want immediate results and recognition from others and don’t want to hear about the possibility that something mightn’t work or, even worse, might fail. They are competitive and if anyone tries to get in their way of achieving their goals they can bypass them and place their full attention on achieving successful outcomes. Always busy, they are masters at appearances and adjust to whatever is needed for success. They don’t have time for feelings as they conflict with their achievements. An insightful performer can have great enthusiasm for achieving goals and offer practical and inspiring leadership. Focused on results, they suspend their emotions and identify with the task at hand. They take on the appearances of manner, looks and emotions required for the job. People place their confidence in the Three because of this. Being busy for them means they have everything under control. Work is very fulfilling where there is lots of creativity with plenty of meaningful depth to it. Authentic relationships with colleagues and the avoidance of superficiality are important. Idealists at heart they can be very competitive when the task looks tantalising and exciting but moods can set in which effect efficiency. Situations that are emotionally charged are attractive as they speak to them of authentic expressions of the human condition. Often seen as moody and emotionally intense they are drawn to being creative where the unique, even quirky, aspects of the task can emerge. Fours excel in work where creativity is called for. They want to express themselves in unique and special ways and place a high priority on excellence and authentic self-expression. This comes from feeling different from other people. Fours are good at touching the hearts of other people and this is why they try to capture people’s hearts through their creativity in an empathic and analytical manner. They don’t like routine and are attracted to work that will provide a conduit for the expression of their feelings. They like to detach from their environment to think and analyse, away from all possible intrusions. To them the running around that others engage in is a waste of energy. Time is a currency for them and is important for detaching and bringing order out of chaos. They can work alone for long periods and will give well thought out assessments of situations that they have spent time working on. They like to know the agenda in advance so they are prepared and are uncomfortable in situations that are open-ended or depend on spontaneity. They erect boundaries like email, secretaries, etc. to limit personal contact. They are fine decision-makers and can do with very little. They excel at abstract analysis but can feel drained by other people’s needs. When they have completed a piece of work they may vanish to avoid the possible uproar of questions and arguments. On a team Fives may wish to escape personality clashes, office gossip and politics and prefer to hear what everyone else has to say before they share their thoughts. Others need to know how they operate when it comes to problem solving so they can understand and appreciate their reasoning. They find it easy to work under adverse conditions. Crisis management and troubleshooting are tackled effectively. When things are going well they begin to doubt and question. “What happens if the situation turns dangerous?” “I need to check things again.” When visible success looms, they can get anxious as this can attract hostility and competition. They prefer team working where you can rally forces in difficult situations. They are mistrustful of authority and are on the lookout for hidden agendas. They willingly support causes and are good team workers. They are valued trouble-shooters. They are always trying to figure out what others are thinking so that they know how to behave. They notice inconsistencies and feel the need to be on guard for this. 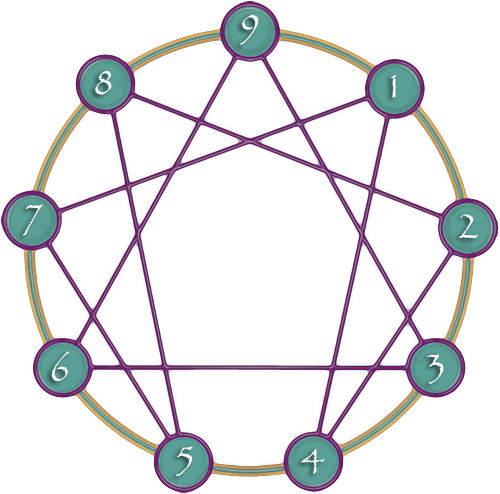 Sixes seek to back up their beliefs about inconsistencies and the possibility that they or others will be taken advantage of. They are not always happy focussing solely on the positive aspects. They are highly intuitive and can lighten others up with their humour. The Seven sees a world filled with opportunities and exciting options. For them there are always fascinating plans to think about. They value self-reliance and can side step conflict or pain which they find limiting. They don’t see any downsides, only positive new ideas and are confident of their own self worth and feel entitled to success. They feel at home at the start of projects where they can synthesise all available information and plan towards the future but find the routine of implementing the plan less interesting. To be stuck in a closed-ended job will cause them to reframe the rules and network themselves into a better position. They dislike routine and limitation. They are good synthesisers and can be very enthusiastic about life. Sevens are good at envisioning the future and capitalising on every opportunity that presents itself to them. They keep many possibilities afloat at the same time and synthesise everything, seeing the relationships between each possibility. At the same time they are screening out the negatives which can mean that small details can be let slip by. They don’t like being controlled and focus on who has the power in the work environment. They need to know that the boss is fair. They?d rather take charge themselves than risk being controlled. They find it easy to confront others and deal with difficulties and don?t like mixed messages. They want to know the agenda and don’t have much time for people who whine. They like co-workers to express their minds and will test them to ensure that it’s safe to surrender control. As long as there are clear lines of communication they will maintain a solid and supportive presence. They have great energy and can bring others with them. AT WORK They make good leaders and insist on fair play. When there is a lot of waffling going on Eights might get angry and disagree just to get everyone moving. People speak the truth in anger under pressure. The rules don’t matter and they will break them or make them just to stay interested – what matters is that they?re in charge of whether you want to agree or disagree. To stay out of trouble Eights need to raise the level of what they require of themselves, rather than managing or interfering with others just to stay interested. They like a work environment that is peaceful, where there is no conflict. So they look at all sides and can see the good and bad points in situations. They can identify with everyone else’s position and get distracted from their own stance. Once they get involved they find it hard to say no and stay with it longer than they want to. When deadlines approach they move on them and are very productive. They like peace and comfort and dislike conflict or disharmony. They are receptive to others and operate well on teams. They agree with everybody, get along with most and avoid conflict. They often start off the day excited by particular activities but by the end of the day they find that what most interested them has been left aside due to their involvement with the incidentals that distracted them along the way. When they are dealing with new ideas or information, which hasn’t been given a structure, they need time to find a context within which to understand the new concept. Others can find them slow and irritating while they are doing this. However, they usually have an excellent grasp of how the whole system operates and like to ensure that everyone is included. They are natural team builders.